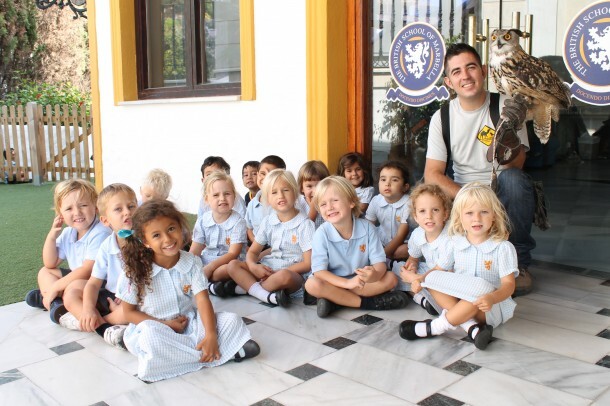 A Flying Start to Term | Marbella Marbella – Adelante! 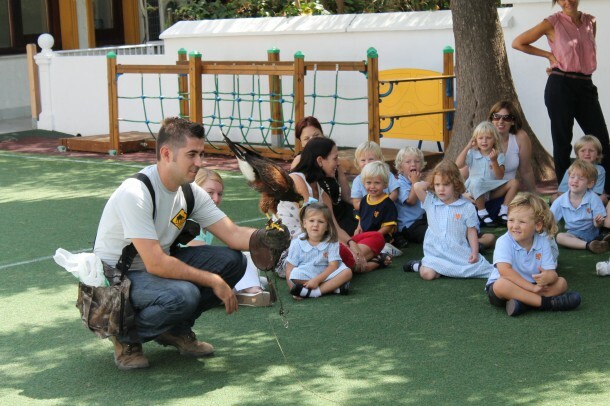 Children at the British School of Marbella got a flying start to the school year last Friday (September 7) after a visit by some feathery friends. 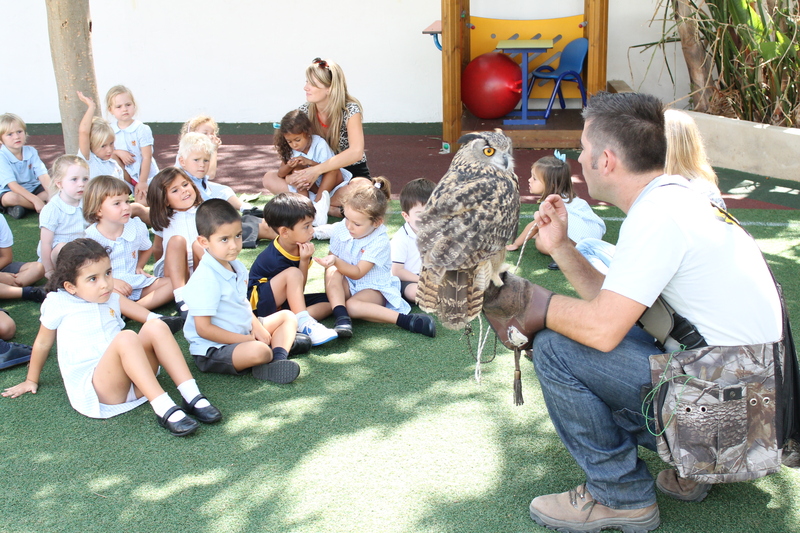 Birds of prey including Gandalf the European Eagle Owl spent the afternoon flying around the school’s playground after the youngsters studied the animals for a week. Teachers and staff were also intrigued by the animals and queued up to get their photo taken with the birds after the demonstration. 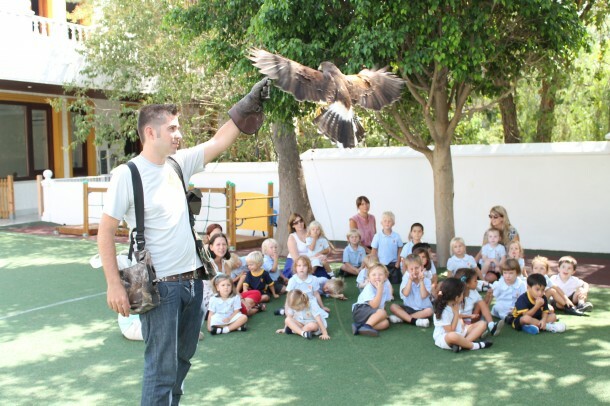 Falconers Susanna Armstrong and Jorge Quirós answered questions about the birds before taking them back to their home at Finca Caballos Alkadar near Estepona.